On the final normal show of 2016 we take a look at probably the biggest cinema release of the year in the form of the first Stars Wars spin off, Rogue One. In the home release section we take a look at the films that are ready to buy on Boxing Day with action sequel Mechanic Resurrection, animated food comedy Sausage Party, two friends get much more than they bargained for in thriller comedy War Dogs, the whole music world gets a big send up in comedy mockumentary Popstar: Never Stop Never Stopping, it’s time for the mothers to take back there life in comedy Bad Moms and the third in the Purge series with Election year. 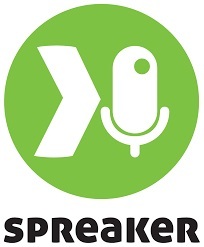 Join us live from Monday 19th December at around 8:30pm 9:00pm (GMT) on our Spreaker page or the Spreaker app (which you can download free from the Apple app store/Android marketplace and find us on by just searching for The Monday Movie Show). 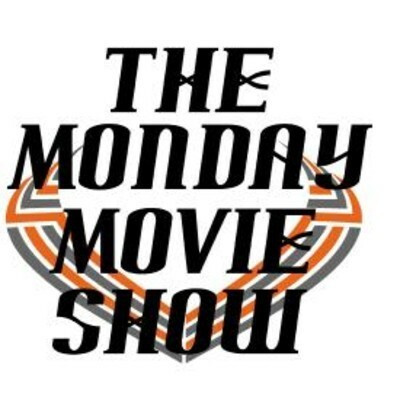 You can download the show from the brilliant Podkicker on the Play Store (just search for The Monday Movie Show) on it, or you can now find us on Youtube, and we are finally back oniTunes just search for the Monday Movie Show and you should find us. Last week the Revenat managed to surprise everybody by going straight into the number one spot knocking Star Wars The Force Awakens off the top spot, well the Revenant has managed to do it again holding on to the top spot for a second week taking in just over £12 million so far. The chart did manage to mix things up with a few new entries including teen Sci-Fi drama The 5th Wave going in at number nine, drama The Big Short managed to take in just over £1 million hitting the number four spot. 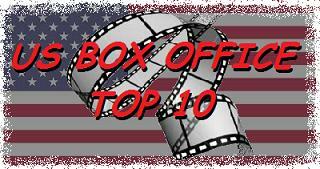 The highest new entry though went to comedy sequel Ride Along which went in at number two. Upcoming – A lot of new films are fighting for your money this week including comedy Dirty Grandpa, the latest film from Michael Bay with 13 Hours: The Secret Soldiers of Benghazi, mining drama The 33 and animated adventure Capture the Flag. Star Wars reign at the top of the chart had to come to a end sometime however nobody thought that gruelling action drama The Revenant would be the film to knock it off the top spot. Normally a movie that’s not part of a franchise struggles a little to make a big impact on the chart however it seems that people wanted to see Leonardo Di Caprio go through hell. 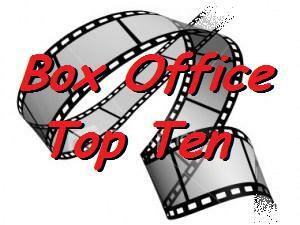 This weeks chart did feature another three new entries including Opera event Les Pecheurs De Perles going in at number 10, amazing gripping drama Room hitting the number seven spot and Rock spin-off Creed going in at number three. Upcoming – It’s a bit of a hectic week this week when it comes to new films as their is a lot to offer including comedy sequel Ride Along 2, the latest teen Sci-Fi thriller The 5th Wave, comedy drama based on the 2008 financial crisis The Big Short and drama Our Brand is Crisis. It seems that nothing can move Star Wars the force Awakens off the top of the chart with it spending another week at number one. In more good news for the film it has now become the highest grossing film in UK history taking more than Spectre in it’s entire run. Movies are running a bit scared away from Star Wars as only one new film managed to crack the top 10 in the form of The Hateful Eight which wnet in at number two with a very respectful £2.7 million. Upcoming – Could next weeks chart have a new number one, these new films will be having a try, those films in question are Alejandro G Inarritu’s The Revenant, gripping drama Room and a reboot of the Rocky series with Creed. Last week San Andreas managed to do better than anybody thought it would, this week however it has found itself knocked off the top spot by the latest comedy from Paul Feig, Spy. Opening in just over 530 screens the film managed to take just over £2.5 million in it’s first weekend of release making it the most sucessful opening of any of Feig and McCarthy’s team up films. Other new entries in this weeks chart included Bollywood film Dil Dhadakne Do going in ay number nine, the Secret Cinema release of Stars Wars: The Empire Strikes Back managed to hit the number eight spot even though it was only shown on one screen. The final new entry of the week went to the third in the Insidous series with prequel film Insidious: Chapter 3. Upcoming – Only one film of any note is out this week and expectations are high for it to do very well, that film in question is Jurassic World. Over in the US chart everything is all change with Spy knocking San Andreas off the top spot taking just under $30 million. Other new entries in the top five included the big screen outing of the Entourage going in at number four and horror prequel Insidious: Chapter 3 hitting the number three spot. It seems that Daniel Radcliffe has impressed alot of people for another week with the Woman in Black holding on to the top spot for another week despite stiff competition from 2 of this weeks new entries. 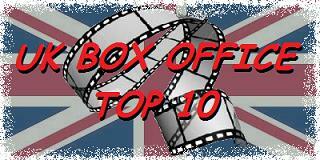 3 new films graced this weeks top 10, first off going in at number 10 was One For the Money, the first film to crack the top 3 was thriller Safe House which hit the number 3 spot however the highest new entry went to The Best Exotic Marigold Hotel which hit the number 2 spot. New Releases – 4 new films will be trying to entice you to spend your money on them this week, first of is comedy from the director of the Hangover, Project X, then there is action/comedy This Means War, then there is comedy from the director of Role Model’s, Wanderlust and finally the 3rd comedy of the week in the form of Hunky Dory. It seems that nothing could shake last weeks number 1 off the top spot even though the second place film gave it a good try. The interesting thing about this weeks chart is that 3 films in last weeks top 10 made more this week than they did last week however it was oscar favourite The Artist which managed to find it’s way back into the top 10, the biggest surprise however was that there was only 1 new entry in the form of Ghost Rider: Spirit of Vengeance which managed to hit the number 3 spot. New Releases – 3 films will be trying to get your cash so they can make it into next weeks top 10, first off is small Australian drama Red Dog, then we have gritty drama starring Woody Harrelson in the form of Rampart and finally we have Safe House starring Ryan Reynolds and Denzel Washington. Last weeks number 1 The Vow couldn’t hold on to the top spot for more than a week despite putting ina good fight with the film that has managed to knocked it off the top spot and thats last weeks number 2 Safe House. 3 new films graced this weeks top 10, first off going in at a impressive number 9 spot is the brilliant animated film Arrietty, doing better but not as nearly as good as hoped was This Means War that went in to the number 5 spot however it was Ghost Rider: Spirit of Vengeance that was the highest new entry this week however it could only go in at number 3. New Releases – Even though there are 3 new films out this week none of them shine, first off is thriller Act of Valor, next up is another thriller however this stars Amanda Seyfried Gone and finally another Tyler Perry film in the form of Tyler Perry’s Good Deeds. Catch up with this week’s show which features reviews of the week’s cinema releases including the return of The Muppets along with Jason Segal, Amy Adams and Chris Cooper, David Cronenberg’s A Dangerous Method starring Viggo Mortensen, Michael Fassbender and Keira Knightly, as well as a look at the 3D converted re-release of Star Wars: Episode I, The Phantom Menace. On DVD/Blu Ray we look at Taylor Lautner’s leading role in action/thriller Abduction, Rowan Atkinson’s return as a bumbling secret agent in Johnny English: Reborn, a true story for all the family in Dolphin Tale, horror movie sequel The Howling: Reborn, and comedy drama Hesher, plus as usual our look at the latest movie news, UK Box Office and Blu-Ray/DVD top 10’s.